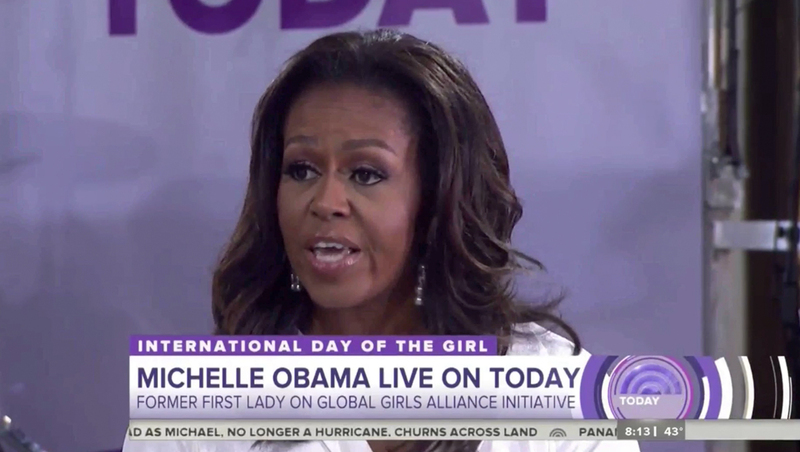 NBC’s “Today” celebrated “International Day of the Girl” today with an announcement of First Lady Michelle Obama’s new Global Girls Alliance initiative on Thursday, Oct. 11, 2018. 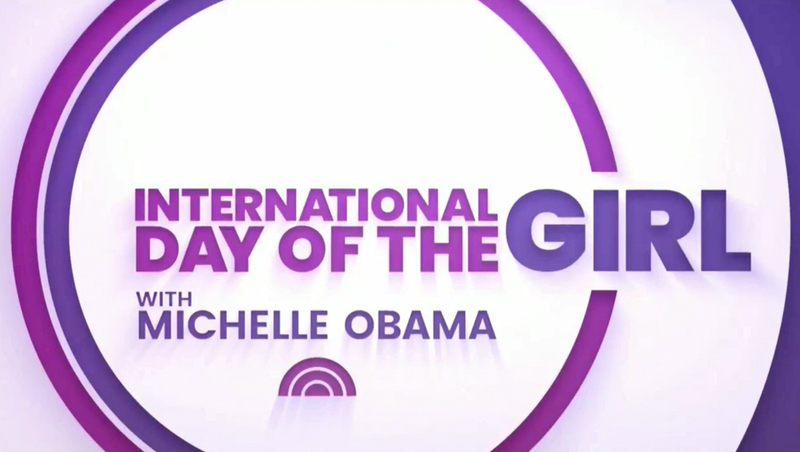 “Today” created a ring themed graphic that mirrors its normal look where the “I” in “Girl” serves as a small segment of one of the larger, outer rings. For the announcement, ‘Today‘ set up a temporary video wall, audience bleachers and its outdoor concert stage on Rockefeller Plaza outside of Studio 1A. 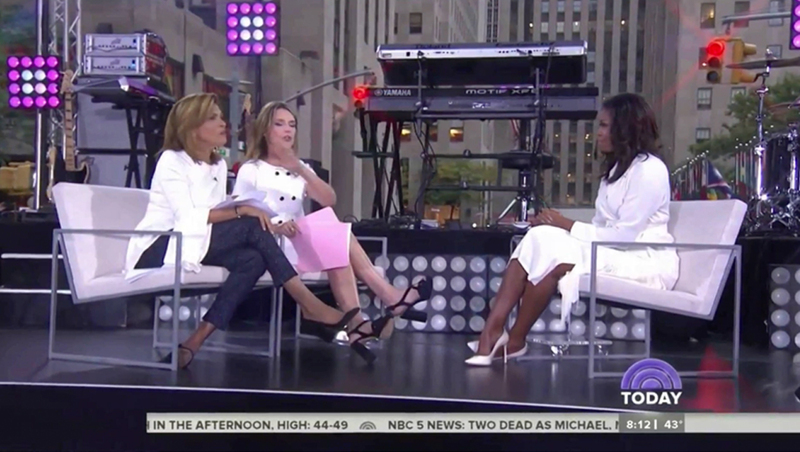 After playing a brief promotional video for the new initiative, Obama appeared in front of the band equipment with co-hosts Hoda Kotb and Savannah Guthrie, who interviewed her about the new project. During the segment, ‘Today’ switched to purple toned graphics, including a violet ‘Today’ sunrise logo and NBC peacock. 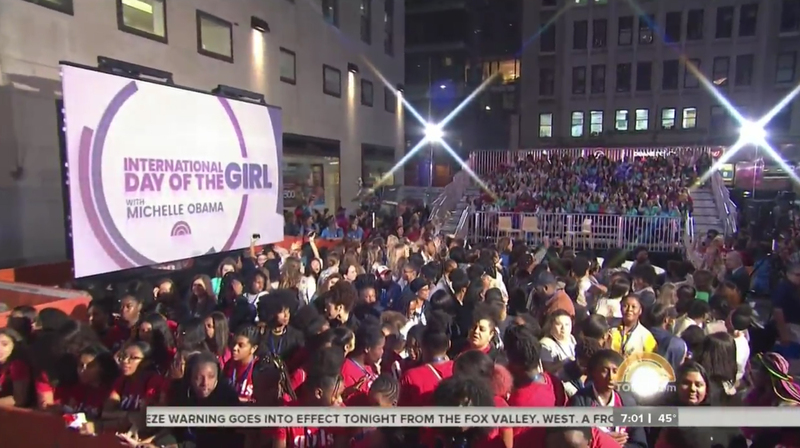 Printed banners set up on the concern stage behind Kotb, Guthrie and Obama featured the ‘Today’ logo in purple as well.